SAN FRANCISCO--(BUSINESS WIRE)--Tissue engineering company Prellis Biologics launched the first ever line of pre-vascularized 3D (three-dimensional) tissue scaffolds today. The scaffolds are biocompatible and can be used by researchers to grow any cell type in 3D formats 1000x larger than 3D spheroids. For the first time, therapeutics can be tested on accurate, easily replicated, fast to set-up models of tissue architecture. Typically, researchers use nearly hundred-year-old 2D (two-dimensional) methods to create cell cultures. These methods are known to be inaccurate, only partially replicating cell behavior. In 2D cell cultures, human cells typically lose the ability to reproduce meaningful toxicology results, leading to frustrated researchers and high drug failure rates in clinical trials. Prellis’ line of pre-vascularized 3D scaffolds has the potential to transform the industry, streamline therapeutic development, and provide more accurate results in academic research and development. 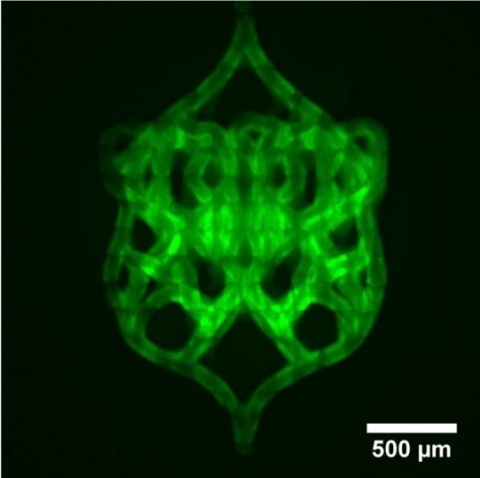 Prellis’ Vascular Tissue Blanks™ are true 3D structures printed with capillaries supporting large tissue growth. 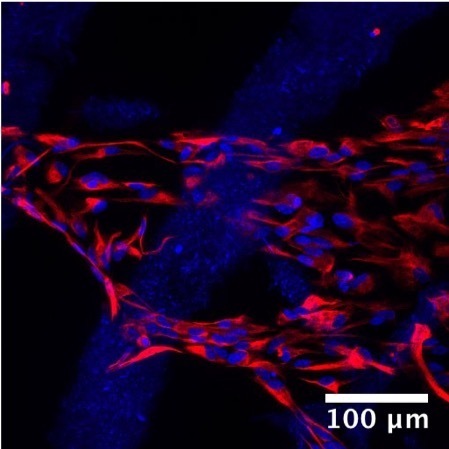 Numerous cell types, including neurons, iPSCs (stem cells), HUVECs (vascular endothelial cells), primary human immune cells, and tumor cells have been successfully cultured and co-cultured on Prellis’ scaffolds. Cells can be seeded on the tissue blanks in about five minutes and cultured under standard conditions. The structures are compatible with live cell imaging and immunohistochemistry, and they can be handled for standard assays such as flow cytometry in the same way as tissue samples. Research applications for pre-vascularized structures are numerous: tumor immunotherapy, therapeutic and drug development, transplant in animal studies, and in-vitro toxicology studies. 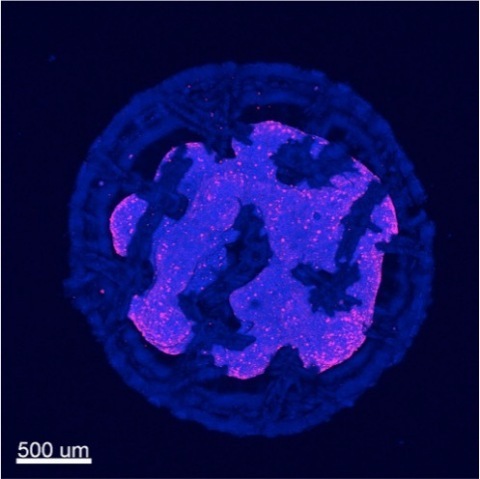 Human tumor cell lines grown on the structures for just one week demonstrate metastasis growth patterns and self-organization, providing access to a new model for studying human tumor cell growth and metastatic behavior. Using the scaffolds now offered to researchers, Prellis’ cell biologists were able to differentiate astrocytes (a type of neural cell) in a matter of days, see robust blood-vessel formation (HUVEC tube formation) in under a week, and grow large-format tumors at 2mm x 1mm for three weeks. Among Prellis’ Vascular Tissue Blanks are the pre-vascularized 3D Tissue Chip™, Organoids™, and the Vascular Bundle™. The beta test product Do-It-Yourself Organ on a Chip™ is designed for experienced microfluidics labs to set up their own cell-cell interfaces for toxicology screening with flow across a 20-micrometer interface. Alveolus™, another a beta product, acts as a human lung surrogate structure; it is a single alveolus surrounded by a bed of human-sized capillaries and is being offered to those interested in the air-liquid interface of the lung. Prellis’ groundbreaking products are available for pre-order at https://www.prellisbio.com with shipment in early 2019. Prellis Biologics announces first ever line of pre-vascularized 3D tissue scaffolds for complex 3D cell and tissue cultures, ready for pre-order.